Cocoa tree (Theobroma cacao) trichomes, scanning electron micrograph (SEM). 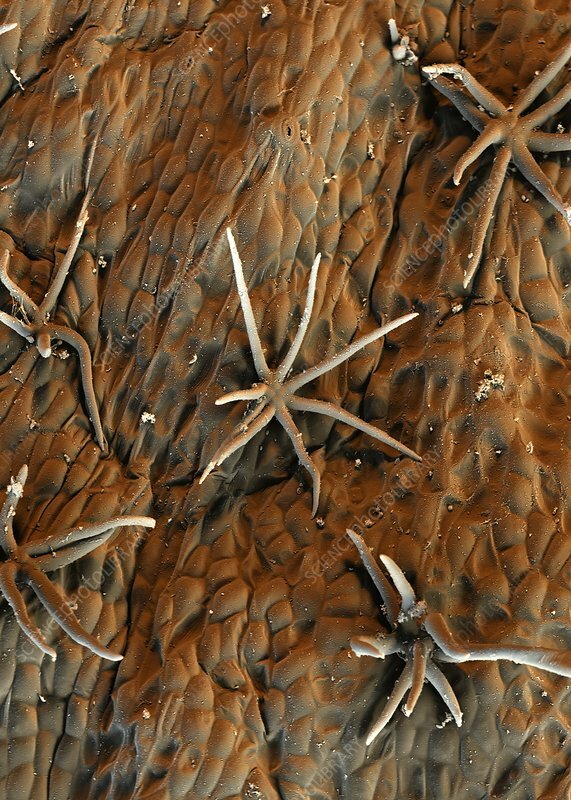 These trichomes are stellate (star-shaped), and are located on the surface of a closed flower bud. Trichomes are specialised structures that may perform several functions, from glandular secretions, preventing water loss, or deterring animals from eating the plant.